DJ Qualls returns to Supernatural tonight as quirky hunter Garth in a drunken episode called Party On, Garth. Whoever pitched this storyline of hunter Garth calling on the Winchester brothers for help with a creature who can only be seen and fought when a hunter is drunk, deserves a raise. It’s just about perfect. While Dean is no stranger to getting drunk on this show, it’ll be fun to see Sam and Garth join in with the boozing to try to see this monster, a Japanese creature called a Shojo. 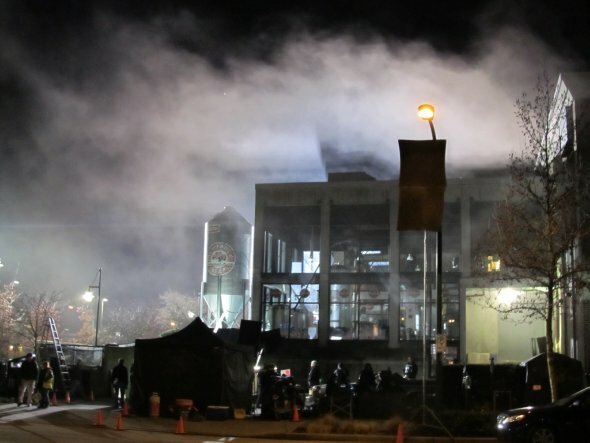 And it explains the Valentine’s Day night shoot I saw in North Vancouver of Sam and Dean, aka Jared Padalecki and Jensen Ackles, with flashlights breaking into the Red Truck Brewery dressed as the Midwestern Brewing Company. 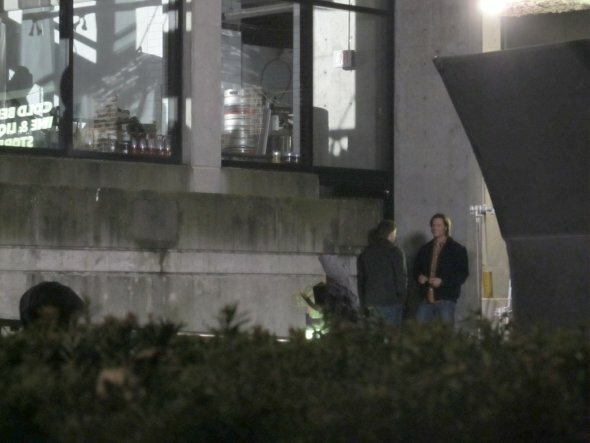 In between takes Padalecki and Ackles kept play punching each other and generally horsing around. They really are like real-life brothers. 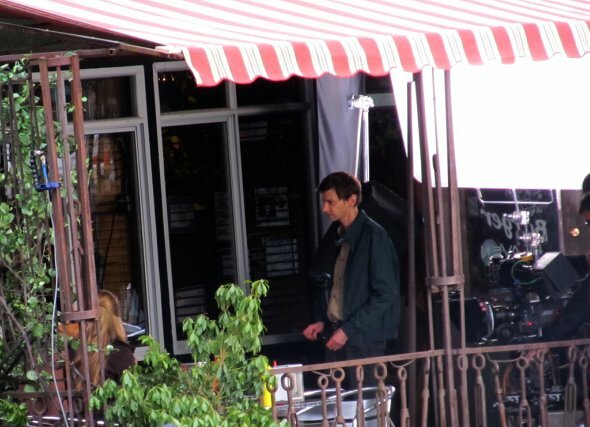 DJ Qualls was on set too in North Vancouver for the shoot at the Red Truck brewery which moved to next-door Taylors Crossing Pub and Restaurant the following day. I first saw DJ Qualls back on location with Supernatural for Party On, Garth, out in New Westminster at Burger Heaven the week before. Garth became a fan favourite from his last appearance on Supernatural as the maladroit hunter who became Dean’s sidekick in Sam’s absence, finally managing to endear himself to the gruff Dean with an awkward hug, filmed in an alley near the Alibi Room in Gastown. DJ Qualls is also a personal favourite of mine for his Twitter exchanges with Jared Padalecki. I even heard about the birth of a son to Jared and his wife Genevieve from @TheOnlyDJQualls before seeing @jarpad’s tweet. @Jarpad: Mr. Jensen Ackles says Thanks for all of the birthday wishes! And he wants to know what “trending” means. @TheOnlyDJQualls to @Jarpad: Tell Ackles to get a Twitter account. I’ve been his secretary for a good chunk of my day. @Jarpad quote-tweeted @TheOnlyDJQualls & added:– he says ur doing a GREAT job! @TheOnlyDJQualls to @jarpad: I’ve decided if Supernatural goes an 8th season I’m gonna get abs. Where did you buy yours? These three have such fun off and on set that I can’t wait to see them drunk on screen tonight and to see DJ Qualls’s new abs in season eight. Whoever came up with this idea does in fact deserve a raise. It was such a fun episode, hilarious and then heartbreaking at the end. I hope Garth returns for more romps on Supernatural, with or sans abs! A great reveal. So unexpected. Kudos to Supernatural for keeping it under wraps.